Mosquito Control for All of Delmarva; Delaware, Maryland & Virginia. It’s time for you to throw out those stinky citronella candles, messy repellents, and hazardous tiki torches to keep your yard, pool or other areas mosquito and tick free. You will no longer have to worry if your monthly foggings will last those last days until your next service or about new pools of mosquitoes that may have hatched several weeks after the fogging. You can relax in the comfort of your yard knowing that the flying pests were cleared out just this morning. 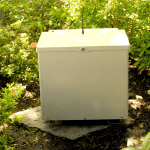 There has never been a more effective or convenient method for preventing mosquito bites on both residential and commercial properties alike. 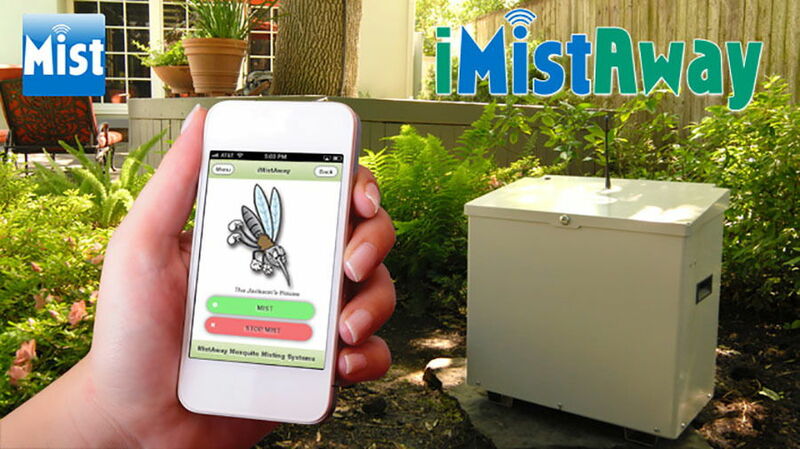 MistAway outdoor insect misting systems in Delmarva. Mosquito MistAway Gen III+ automated mosquito misting system can transform your yard into a safe zone without extra hassle on your part. 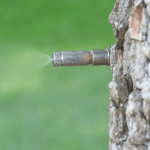 Our system sprays a very fine mist of our all-natural botanical insecticide, which uses pyrethrin, through nozzles installed around the perimeter of your property. The mist settles on your landscaping, killing any mosquito that comes in contact with it. The MistAway Gen III+ has two basic components: the system controller and the nozzle circuit. The controller is the brains of the operation. It’s housed in a weatherproof enclosure and features an easy-to-use digital display for basic control. When that’s in place, we’ll install nozzles discreetly around the perimeter of your property, and the system controller will activate timed releases of our natural insecticide through those nozzles typically at dawn and dusk plus whenever it is. Our system is programmed and automated, so you will never need to lift a finger. Each time the system is activated, the MistAway Gen III+ mixes fresh and precisely measured batches of insecticide from concentrate to dispense. With this technology, you tailor the amount of active ingredients and gain total mosquito control and other biting insects, while using the least amount of insecticide. The MistAway Gen III+ is the most advanced system on the market. It’s tankless, so you can place it anywhere in your yard that’s convenient to a hose bib and electrical outlet. And even better: It’s practically maintenance-free, the Mosquito MistAway will take care of any required maintenance for you. You will rid your property of mosquitoes in a snap. 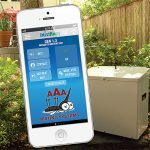 You can even control your system from your smartphone, thanks to the iMistAway app.